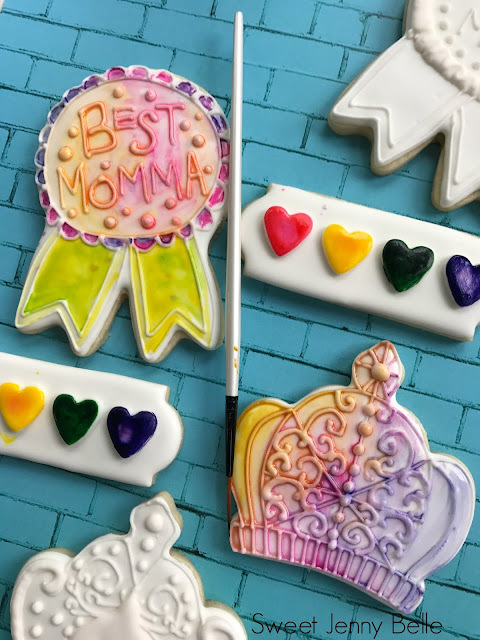 Mother's Day is just around the corner and these paint-your-own (PYO) cookies are so easy to make. I think a treat set of these would be perfect for a Momma and kiddo to paint together. 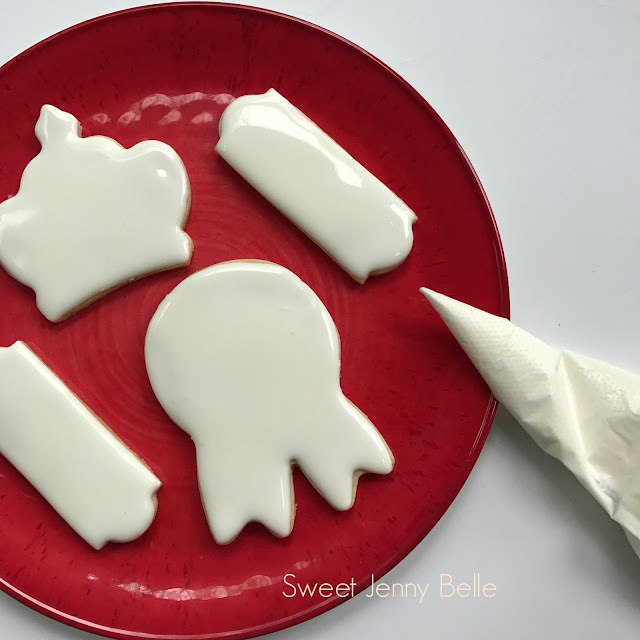 This idea is wonderful for other holidays too - Halloween, Thanksgiving and more. It's a fun activity for all and then a yummy dessert. 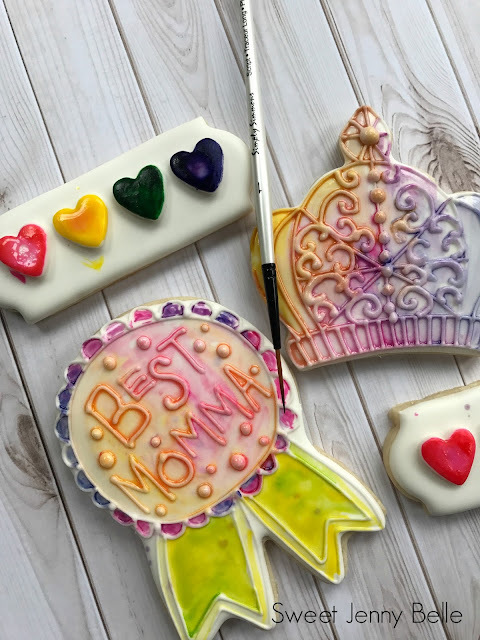 I typically make my PYO cookie palettes with my food airbrush, but it's not necessary - this tutorial does not use one. All you need are some cookies, white royal icing, a bit of white fondant and airbrush food gel. For this Mother's Day I thought it would be fun to create a crown since my Mum is the queen bee and a fancy show ribbon. Wouldn't a bouquet of flowers with a mason jar cookie set be adorable as well? Or maybe hearts? Or a home - because it's our mothers that make that home so cozy. Sigh - a ton of ideas and a million cookie cutters. Create and bake whichever cookies remind you of sweet Mom. Once they are nice and cool, flood them in a 15 second pure white royal icing. 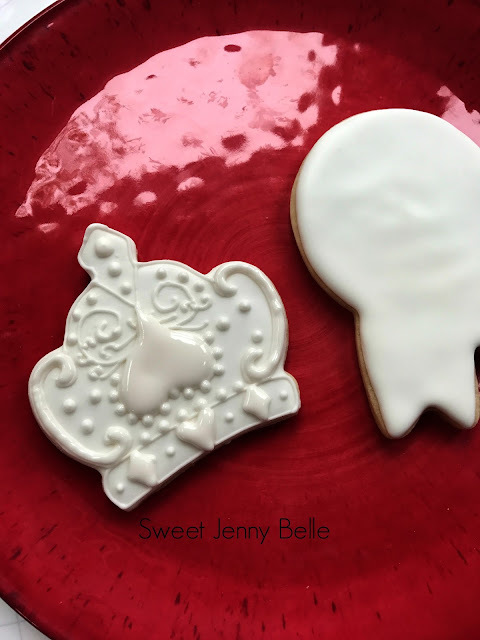 If you need a recipe for Royal Icing, hop on over here for my favorite! Allow to dry for 2 hours or place in a dehydrator for 10-15 minutes at 90F. Next you will need to roll out a small bit of white fondant. 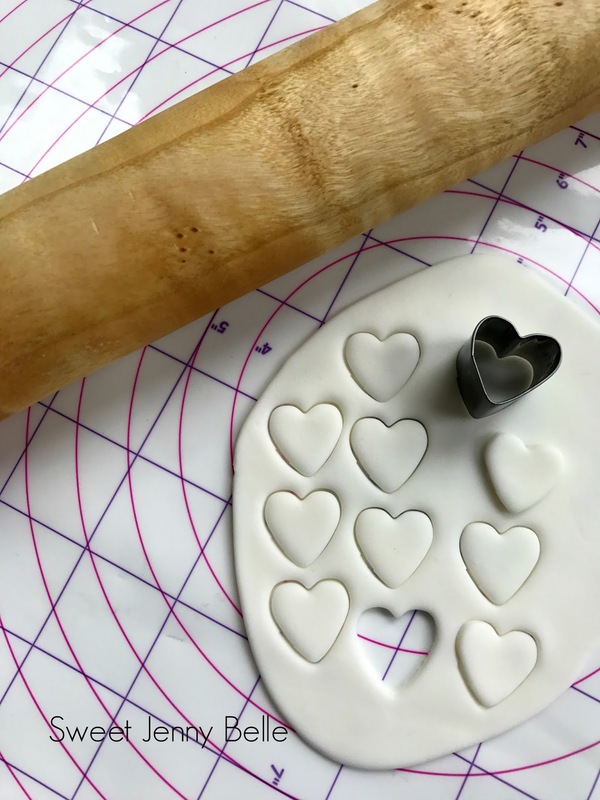 You can use store bought or homemade marshmallow fondant - either works perfect. Roll to 1/8" thick and using a tiny cookie cutter, cut out your palette shapes. For my cookie, I used a 1/2" heart cookie cutter and cut 4 pieces out. 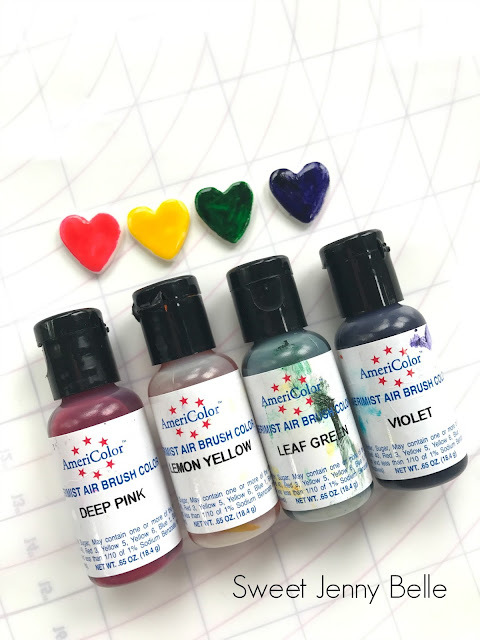 Now generously paint the heart with an airbrush food dye with a food-only brush. Sometimes the color painted on the fondant is significantly darker than what it will look like painted later, so don't be alarmed if it is seems off. Continue to paint the whole palette with the colors of your choice. I tend towards a lot of primary colors since these can be mixed later on the cookie itself. Allow the fondant palette to dry for 12 hours or overnight. If you do not have that much time allotted for drying, just be careful with them and aware that the color can bleed on to your fingers. Prepare your palette cookie by adding drops of fresh royal icing where you will be placing the fondant palette colors. This is the "glue" that will hold them in place. Isn't that pretty? 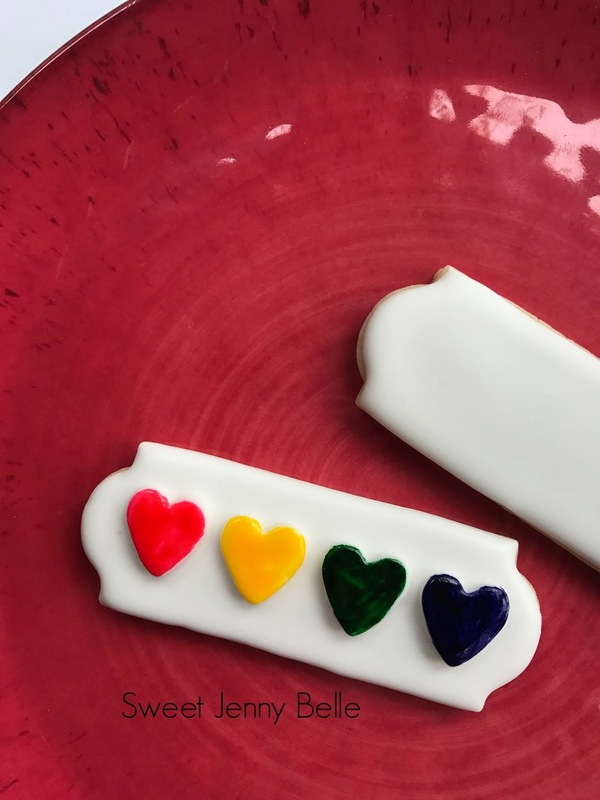 You can make them smaller to add more colors or ice a frame around the cookie. I err on the simpler side for a clean look, but feel free to sass it up. 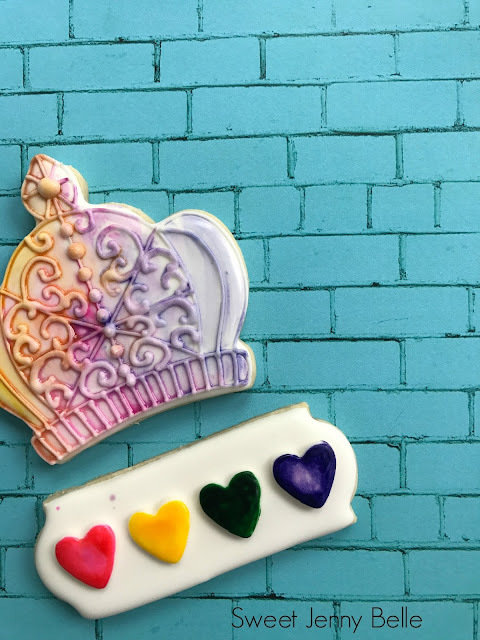 Now it's time to have some fun with your cookies that will be painted. In the past I have done outlines with a think black piping icing - this gives the cookie an almost coloring book feel. You can see samples in my Halloween post over here. I wanted to try a different look and did all the outline piping white. I really love the effect! Allow the icing to dry for 6-8 hours or pop in the dehydrator again for 15 minutes at 90F. All you need is a small bit of water to activate the color palette and then it's only limited by your imagination. The colors can be blended together on the cookie for some really cool effects. 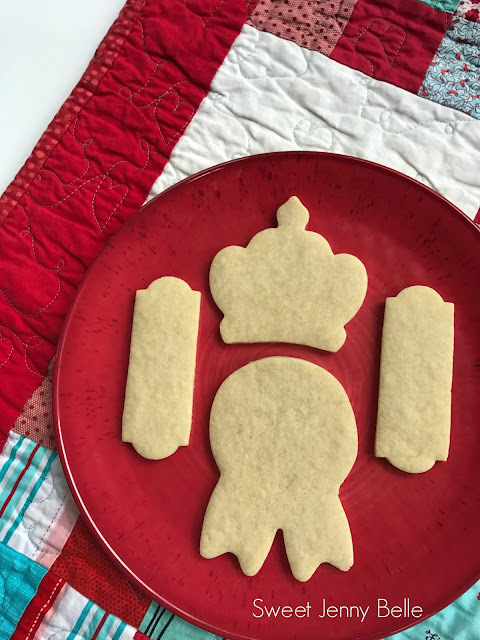 Such a fun way to enjoy your cookies for a bit longer. You could paint the piped parts different, but I loved the relief appearance of a general watercolor all over. Aren't these beautiful? 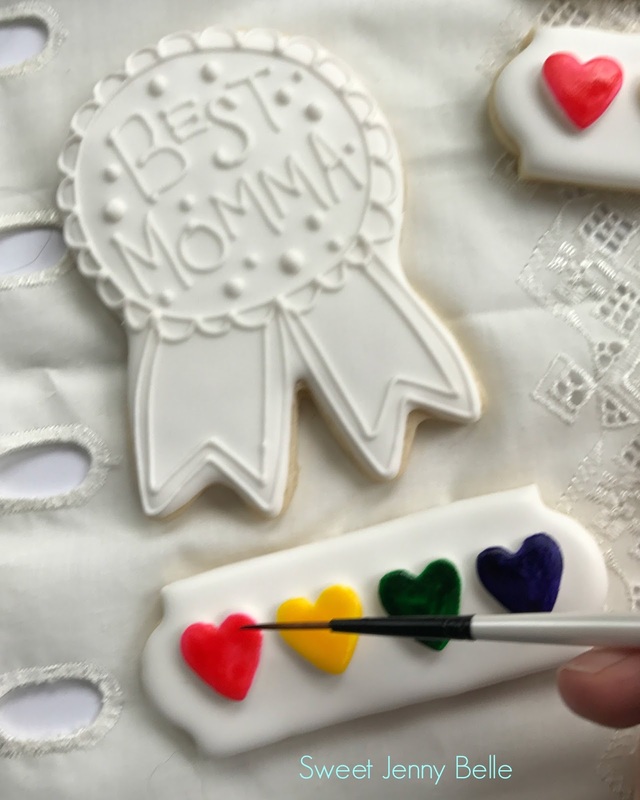 I just know any Mom would enjoy a little painting and cookie nibbling with their sweet babies. Don't forget to PIN this tutorial - you will be wanting to do this for the next holiday! It's a fun way to keep kids and adults entertained during dessert. 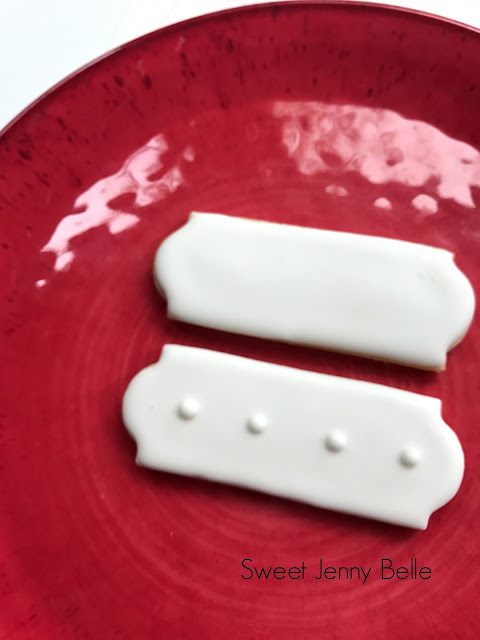 My kids are always asking for these special cookies. Here's to all the mothers, grandmas, great-grandmas, aunts, sisters, cousins and women that shape our lives and love us.